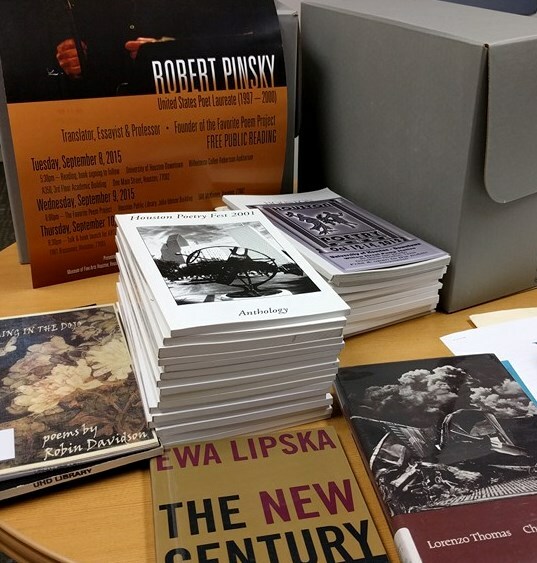 The University Archives will display a new exhibition in the W.I. Dykes UHD library entitled "Dancing on Main Street: A History of Poetry and Poets at UHD." The exhibit will run from April 4 through May 12, and will feature the works of Dr. Robin Davidson, Dr. Lorenzo Thomas, current student poets, and some of our current faculty poets from various departments around the University. It also will highlight some of the poets the University has hosted over the years. This exhibit is coinciding with National Poetry Month.